IBM Rational DOORS is a next generation Requirements Management tool based on the Rational Jazz technology from IBM – for complex software and systems engineering environments. When hooked with Kovair Omnibus Integration Platform, organizations can foster better business and development collaboration among stakeholders and thus maximize ROI from DOORS investment. 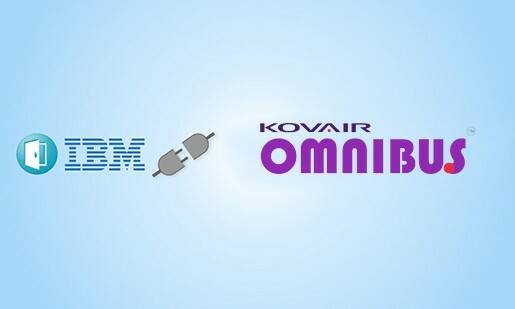 Kovair Omnibus is based on the ESB architecture that requires only one adapter per tool, thereby making the integration environment readily scalable. The platform is capable of integrating tools irrespective of their vendors and platforms. Kovair’s SOA based technology makes it very convenient to integrate any tool on the fly. With Omnibus platform, organizations can view and manage artifacts of non OSLC supported tools such as HP QC/ALM, Atlassian JIRA and MS TFS. The integration ensures that all the artifacts across the development chain are in sync and organizations can have complete view of the artifacts across the platforms. Kovair DOORS Next Gen Adapter’ integrates IBM Rational DOORS Next Generation with rest of the software delivery tools in an organization. The adapter communicates with the Jazz platform using standard exposed REST API. The Omnibus adapter for DOORS Next Gen allows bi-directional synchronization between Kovair Omnibus Integration Platform and DOORS Next Gen. With this integration, Requirements, Test Plan Collection, Storyboard, Modules, Collections and their traceability relationships are exposed to the other ALM tools connected through Omnibus. You can use OSLC integration protocol to link requirements in Rational DOORS with artifacts in the connected best-of-breed tools. A module is a structured document that consists of multiple artifacts. One can create structure in a module by modifying the order and hierarchy of its artifacts. Kovair Omnibus adapter supports complete bi-directional flow of modules and the artifacts’ hierarchy. Kovair Omnibus allows users to link Design Models and Model Resources to Requirements, Requirements-related artifacts, Work Items, and other development artifacts. Users can flow the models associated with Requirements as an attached image which can be shown in other connected tools. Stakeholders can view a complete traceability between Modules, Requirements and other types of artifacts such as Test Cases, Defects. This traceability relationship can be viewed in a single Kovair Dashboard. Kovair Omnibus adapter for DOORS Next Gen can be configured in such a manner so that the artifacts within can be exposed through an IDE like Eclipse and VSTS. Omnibus Plug-in for various popular IDEs like Eclipse, Visual Studio allows the user to browse DOORS Next Gen artifacts and their relations from IDE. One can easily create/modify/delete the Requirements and their relationships from the IDE without accessing the tool. The DOORS Next Gen adapter also supports Open Services for Life Cycle Collaboration linking. One can view artifacts of non OSLC supported toolssuch as HPQC, TFS, JIRA from within DOORS Next Gen. This allows users to view, modify and update artifacts in other tools from DOORS Next Gen.
Kovair adapter for DOORS Next Gen supports bi-directional flow of attachments and comments that are associated with the artifacts. Kovair Omnibus DOORS Next Gen Integration enables batch import of DOORS Next Gen artifacts into other tools connected through Omnibus. Let us consider an integration scenario between DOORS Next Gen and HP QC/ HP ALM. A user adds a new Requirement under a folder in DOORS Next Gen. This information including folder hierarchy flows to the HP QC/ HP ALM through Kovair Omnibus and creates the same hierarchy. Now another user in the HP QC/ HP ALM creates a Requirement under a new Folder and links it with Requirement from DOORS. These Requirement records along with comments, attachments and their interrelationships move to DOORS Next Gen including folder hierarchy. The QA team in HP QC/ HP ALM creates Test Cases, Test Steps and Defects with respect to the Requirement in HPQC without browsing the DOORS Next Gen. The entire data flow between DOORS Next Gen and HP QC/HP ALM is managed by Kovair Omnibus Platform. Provides well-organized Requirements Folder hierarchy to project stakeholders. Requirements Folder hierarchy in DOORS Next Gen can be easily replicated to HP QC/ALM tool. If a user adds or modifies requirements, the same changes reflect on DOORS Next Gen. Gives a clear view of the subsequent activities in HP QC/ALM pertaining to the original Requirement. Using Kovair Application, get an end-to-end traceability between related artifacts such as Requirements in DOORS Next Gen and Test Cases, Test Runs, Defects in HP QC/ALM across the project lifecycle. Acts as a central repository and displays all artifact data from the connected tools in a single window. Allows Project managers to view dashboards and generate consolidated reports from various tools real-time. Enhances collaboration and productivity among stakeholders and helps them actively participate in the Requirements Process. Allows bi-directional synchronization of artifacts between DOORS Next Gen and third party tools throughout the lifecycle. Enables stakeholders to view, update and modify the record of any non OSLC supported tool from DOORS Next Gen.
Analyzes and allocates resources to DOORS project from other project management tools. Ensures that all the available artifacts, collection, modules and the relationships among them can be tracked and maintained in other integrated tools. Allows stakeholders to synchronize all types of artifact format such as Use Case Diagram, Story Board, and Business Process Diagram. Supports cross-tool traceability, consolidated reporting and Requirement Process Automation. No hard-coded business logic. It is fully customizable as per business requirement. Web-based codeless configuration screens for easy customization. Support for DOORS reporting even if the artifacts are not originated in DOORS Next Gen or are not owned by the Rational tool.